Computers are certainly the greatest invention of our times. They have completely revolutionized the way we handle information, which affects every human endeavor. Surprisingly, even if computers have changed the world, only few people know how this machine really works and who invented it. This ebook brings together the essential information about this complex machine in a very simple and understandable way. The topics covered include a clear definition of what is a computer, a brief history of machines that preceded computers, their inventors, and the basic principles of how it works simply explained. For the first time, an ebook offers cutting-edge Artificial Intelligence technology and user-friendly interactivity, making easier to learn about computers. Discover how a microprocessor executes a program with animated illustrations and diagrams. 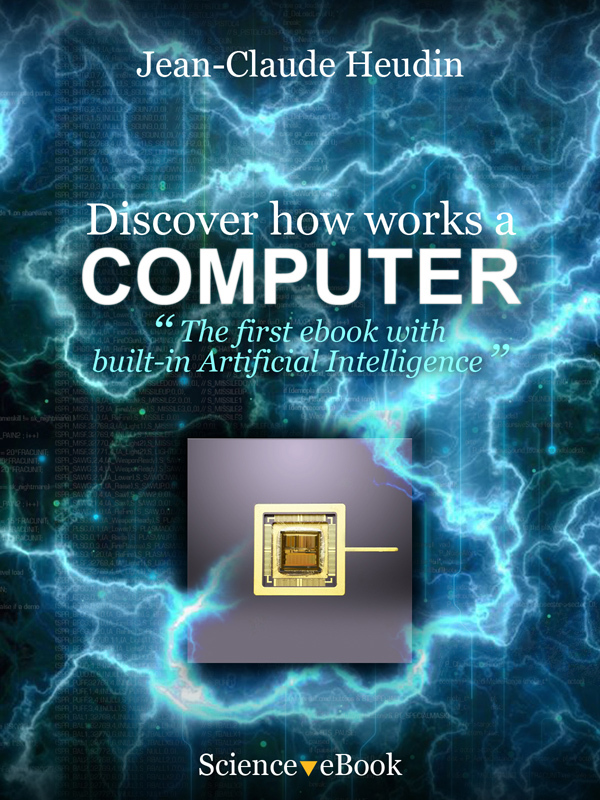 Experiment by yourself how to program a simple microprocessor directly in the ebook. Check your knowledge by interacting with EVA’s artificial intelligence. This interactive AI-based ebook is an essential and indispensable tool for students, researchers, professionals and all computer enthusiasts. Jean-Claude Heudin is Director of the Institute of Internet and Multimedia. He is the author of numerous international scientific papers as well as several books in the fields of artificial intelligence and the science of complexity. He regularly participates in the media and gives public lectures about artificial creatures. Fully tested on iBooks (iOS) and Readium.